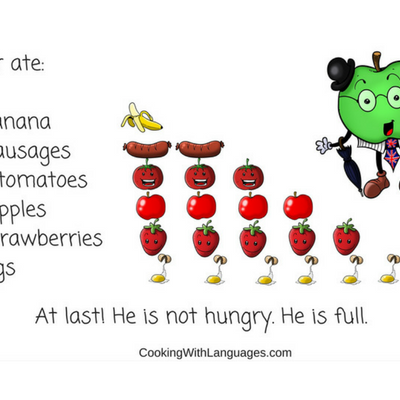 Arthur Tiene Hambre is a fun booklet designed to practice counting and telling the time in Spanish. 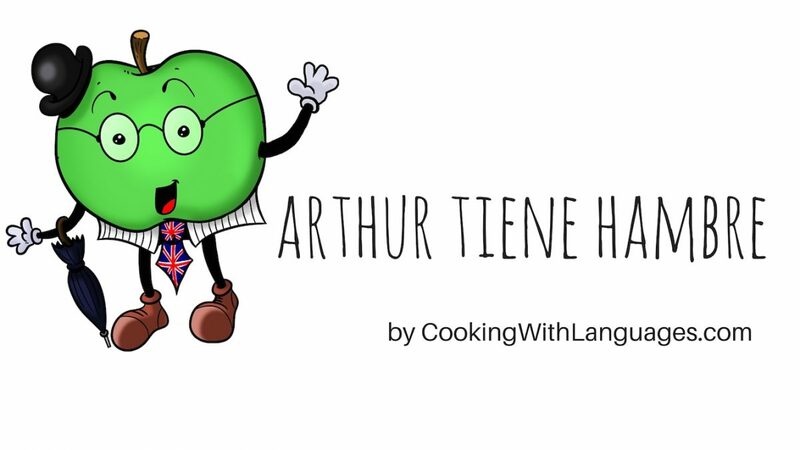 Arthur Tiene Hambre teaches and reinforces Spanish words for foods, numbers, and telling the time. 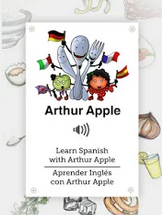 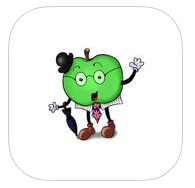 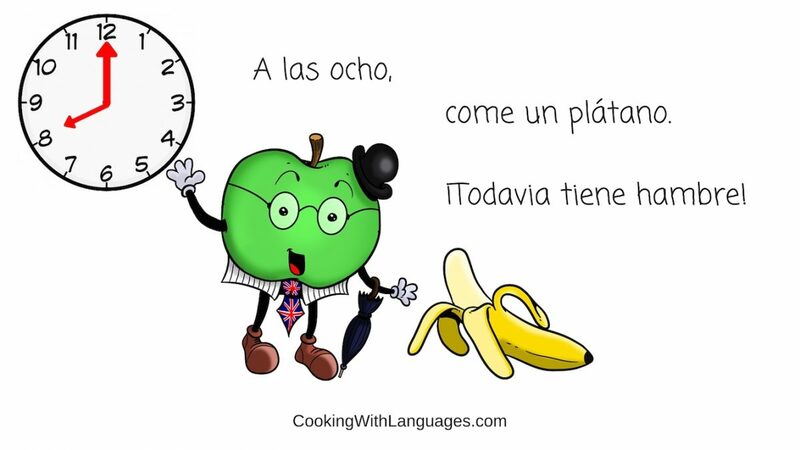 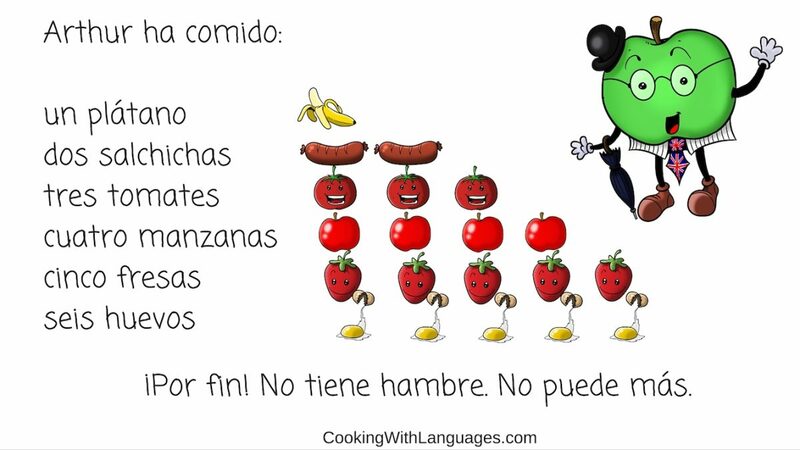 Join Arthur Apple as he searches for something to eat – munching and digesting new Spanish vocabulary concepts along the way. 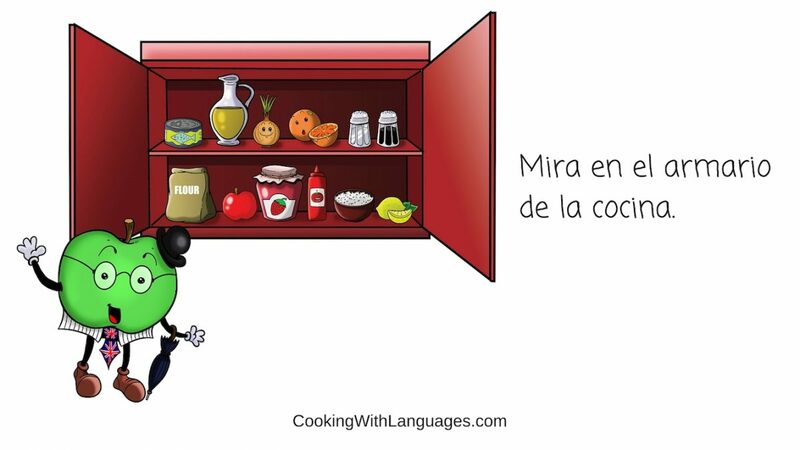 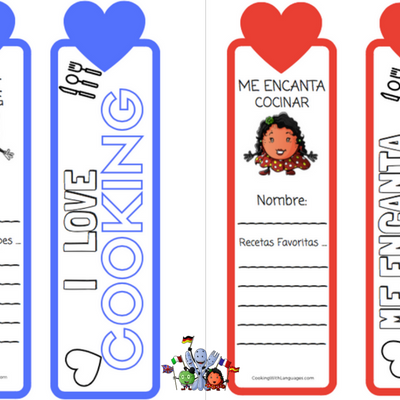 Find the right rooms and areas within the kitchen, and learn the words for the healthy and tasty foods he discover, and eats throughout the day. 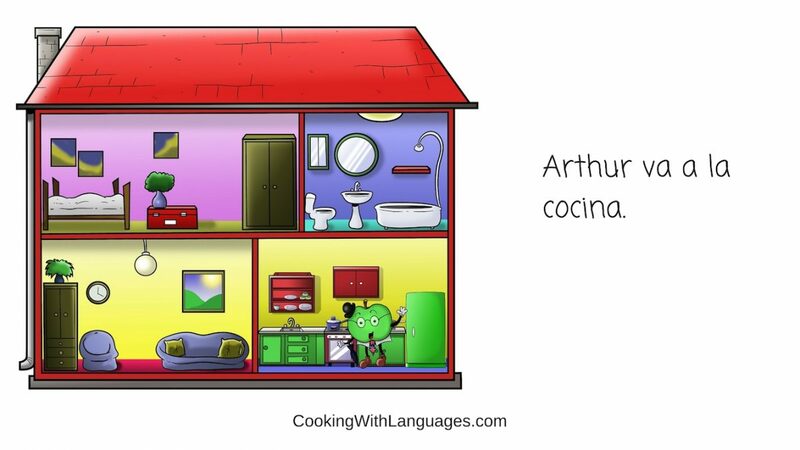 Arthur is always hungry – but which are your favourites? 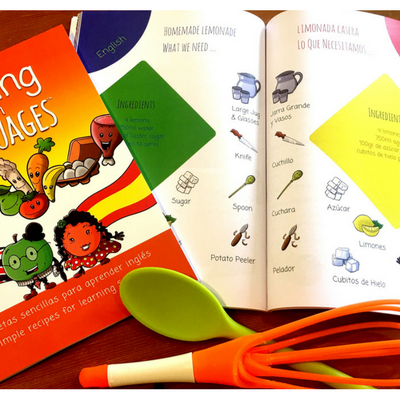 Younger learners can count out loud, and identify the new words from vivid colourful illustrations, enjoying the repetition and adventure.